Turkmenistan has discovered new commercial flows of natural gas as a result of lately conducted 3D seismic survey, particularly in the area where the country’s largest gas field Galkynysh is located. But where these additional volumes will go is yet a question at issue. Turkmenistan currently has more gas than it can sell and is continuing to increase production, Bruce Pannier, an expert on Central Asia and energy issues and a Senior Correspondent at Radio Free Europe/Radio Liberty told Azernews via email on June 23. Ideally of course, Turkmenistan would like to sell gas both to Europe via the Trans-Caspian Pipeline (TCP) and the Caucasus and to Pakistan and India via the proposed Turkmenistan-Afghanistan-Pakistan-India (TAPI) pipeline, said Pannier by stressing that if those two routes were actually opened, Turkmenistan would need an additional 60 to 65 billion cubic meters of gas annually to fill both pipelines. Unfortunately, none of these pipelines is possible now or for the foreseeable future, he said, reminding that in the case of TCP because of Russia and Iran’s objections about environmental problems it will cause in the Caspian Sea, and in TAPI’s case because of continued, and actually a worsening of the fighting in Afghanistan. The expert noted that given the enormous security problems in Afghanistan that start just across the border from Turkmenistan there is practically no way TAPI pipeline can be built. Additionally, the low price of gas makes investment in such a project risky and besides that it now appears that Iran is making progress toward finishing a pipeline connection with Pakistan that would essentially do the same thing that TAPI proposes to do – bring gas to Pakistan and possibly India, added the senior correspondent. Pannier went on saying that in the meantime, Russia stopped buying Turkmen gas at the beginning of this year, and Iran will likely stop buying Turkmen gas sometime in the next few years as it finishes construction of its internal pipeline network and can bring gas from the south, including Pars field, to the north. Thus, producing more gas really does not help Turkmenistan right now. And under these circumstances, Turkmenistan is only left by Chinese market. Currently, three of the four pipelines to China are operational – Lines A, B, and C, said the expert, reminding that Lines A and B can each carry some 15 billion cubic meters of gas per annum, whilst Line C has capacity for 25 billion cubic meters per annum. Line D will be the big one carrying 30 billion cubic meters. Nevertheless, officials in Uzbekistan, Tajikistan and Kyrgyzstan have already said there are delays in constructing the parts of the pipeline that pass through their territories, Pannier said. “So we don’t know when that line will become operational. It was scheduled to launch around 2019 but that no longer seems possible,” he added. 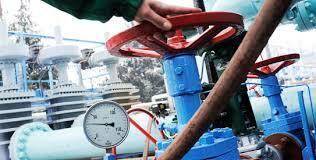 The expert further emphasized that China could fund construction of another pipeline. However, he believes that until Line D is working, Beijing will probably not consider a fifth pipeline. As it stands now, Turkmenistan should one day be exporting a minimum of some 65 billion cubic meters per year to China and more likely 80 to 85 billion cubic meters, someday. There have been talks of boosting Turkmen gas exports to China to more than 100 billion cubic meters per year further in the future, said the expert. Additionally, Russia is also going to increase gas exports to the Chinese market via the construction Power of Siberia Pipeline which will have the capacity of 38 billion cubic meters that will boost competition for Chinese gas market. In volume terms, the gas that Russia will send to China is less than half of what China plans to eventually get from Turkmenistan, Pannier said, adding the fact that Russia and China are still negotiating about a second pipeline. The expert stressed that in any case, China can probably use as much gas as both Russia and Turkmenistan are willing to sell. China has also been very shrewd in ensuring its diversification of energy imports. Beijing does not want to rely too much on any single supplier. Thus, Pannier thinks that Chinese authorities would prefer to keep both Turkmenistan and Russia happy by purchasing significant quantities of gas from both. He further added that the only competition Beijing would be interested in seeing would be in pricing. China could, and likely will, continually press one country for lower prices and then demand a similar price from the other country. “It is almost certain that China is pushing for ever lower prices for Turkmen gas, especially since China knows it will soon be Turkmenistan’s only gas customer. It’s a very bad situation for Turkmenistan to be in. But the price China pays has never been made public and whatever talks the two countries are having now are not being reported,” added Pannier. “Worse, Turkmenistan is using some of its gas exports to China to repay billions of dollars of Chinese loans to develop Turkmen gas fields and build the pipelines to bring that gas to China,” the expert further highlighted, by empathizing that so not only is Turkmenistan getting less money for its gas, it will also take longer to pay off its debt to China. Regarding Turkmenistan’s possible gas exports to Europe, Pannier pointed out that firstly, the country’s gas export policy is generally that Turkmenistan will build a domestic pipeline to its borders and from there anyone who wants to build a pipeline to that border can get Turkmen gas. “Turkmenistan never said it would pay for the TCP pipeline, so someone else has to do that, said Pannier. Besides that, Turkmenistan does not wish to provoke Russia with entering its biggest market, especially since no work at all has been done on the TCP. For Turkmenistan in order to commit to such a project it would have to first see that there was really a pipeline that is being built. Promises and signed agreements are not enough, added Pannier. “Turkmenistan would be happy to sell gas to Europe, like China can use all the gas Russia and Turkmenistan are willing to sell,” said Pannier, adding that “but so far, no one has been willing to invest the money and start constructing the TCP”. There are some early efforts at gas-to-liquid which could help Turkmenistan to diversify its export market in the future, said Pannier, adding that although there are many complications related to LNG. First, not only would Turkmenistan have to build the facilities to turn gas into LNG but some other Caspian country, presumably Azerbaijan, would have to build a facility to either turn the LNG back into gas or, more likely, expand railway capacity so the LNG could be shipped that way to the Black Sea, Pannier stated by reminding that such facilities take several years and a lot of money to build. The expert also cannot see an option of shipping LNG by rail through Russia or Iran, and China already has pipelines connecting it to Turkmenistan.